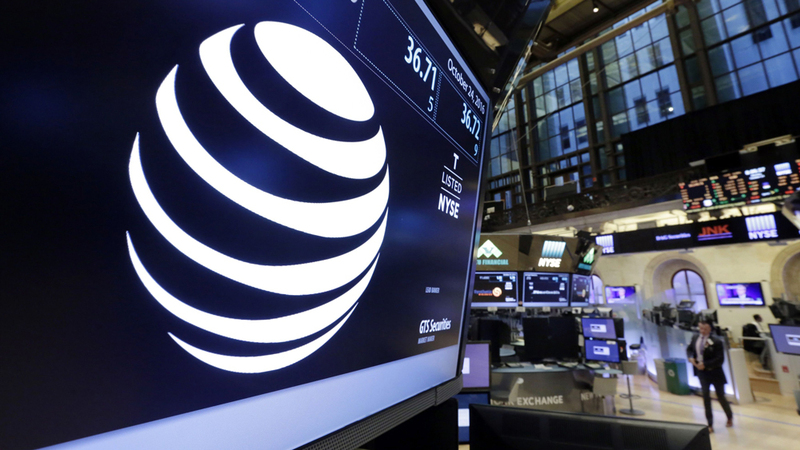 AT&T provided new details regarding upcoming streaming television service DirecTV at a press event in New York City. Here’s everything you need to know about DirecTV Now – and two other streaming products – ahead of the November 30 launch. 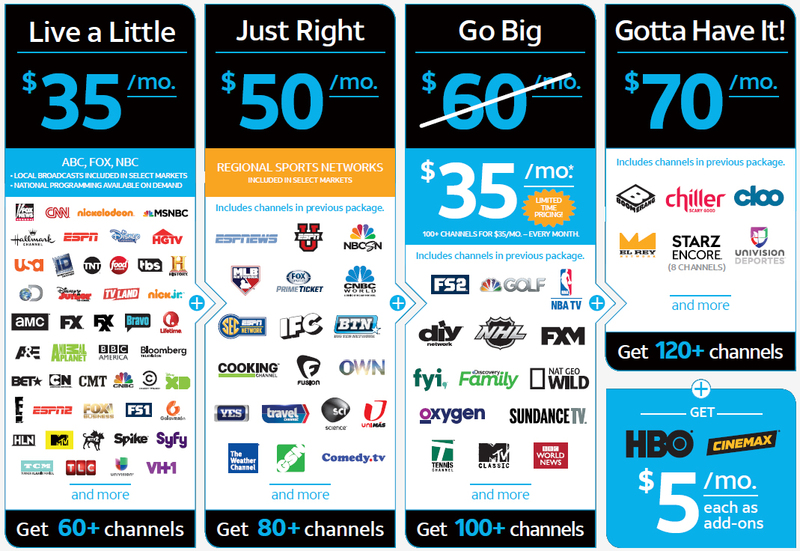 AT&T notes that HBO and Cinemax can be added to any base programming package for an additional $5 per months. It’s also worth mentioning that early adopters who sign up for the Go Big package can get it for $35 per month and retain the rate as long as they keep the plan (subject only to “reasonable” programming price increases, we’re told). At launch, DirecTV Now will be supported on a number of devices including Amazon Fire TV and Fire TV Stick, Android mobile devices, iOS mobile devices and Apple TV, Chromecast, Google Cast-enabled LeEco TVs, Vizio SmartCast Displays and via Internet Explorer, Chrome and Safari web browsers on your computer. Support for other devices such as Roku streaming players, Roku TV models, Amazon Fire tablets and Samsung Smart TVs will come in 2017, we’re told. Fullscreen, the social- and mobile-first streaming service with more than 1,500 hours of content that launched earlier this year, can now be enjoyed by select AT&T Mobility customers free of charge for a full year. Once the free year expires, Fullscreen will command a monthly rate of $5.99. More details on that service can be found on the Fullscreen website. FreeView, meanwhile, is a highly curated, ad-supported video service that lets anyone enjoy unique and exclusive content absolutely free. Users can access FreeView via the DirecTV Now app. Unfortunately, this is all that's known about FreeView as of writing. AT&T mobile customers will be able to stream video from all three services over the carrier’s cellular network without it counting towards their monthly data caps. Each account will support up to two concurrent streams. In addition to a 7-day free trial, newcomers can opt to receive a free Amazon Fire TV Stick with Alexa Voice Remote for pre-paying for one month of DirecTV Now service or a free Apple TV with Siri Remote in exchange for a three-month commitment. The full channel lineup is expected to go live on Wednesday when DirecTV Now launches. No word yet on whether or not DirecTV Now will allow customers to purchase and view Pay-Per-View events. The end of traditional TV is near. Well, it died a long time for me when I couldn't be bothered to get a TV Antenna. Good to know that the data caps isn't going to apply for streaming these channels. Still, I really wish that they stop bundling crap channels so said crap channels could finally die off. I would agree ... it died the day they went to the all digital format in broadcast TV. The congress had their chance and could have modified the law to entail better control of the cable companies, but choose not to. The consumer will not have control again until the day the law requires cable companies to provide their channel selections ala cart rather than bundling. Then we will see a bunch of the useless channels disappear overnight. Well since basically all cable isps etc have their own data caps I consider this offering pretty much another way to get more money out of our pocket. imagine watching hours of endless tv etc and hitting your isp data cap every month and getting hit with overage fees. the article says the cellular network wont count towards data but not our own individual isp ones. funny yet annoying. I don't think any isp offers unlimited download caps anymore. Well since basically all cable isps etc have their own data caps ..... I don't think any ISP offers unlimited download caps anymore. I have TWC and do not have any data caps. I have 50Mb internet with Standard cable (70 stations?) plus the TWC apps on the tablets, smart TV and Roku. Some months, I download GBs of data - e.g., different Linux distros - my downloads can run anywhere from 1+GB to 4GBs. So far support has been good for many years. My biggest complaint was they increased my monthly payment about 40% the past year and a half. My one son-in-law and daughter, who live in KC, had both Dish and Direct and had nothing but problems with both plus poor support. They plan on switching to Google as soon as they have access in their neighborhood. Where I live, ATT has not been a sterling ISP with the customers that I know.